NetEase has an impressive number of shooters on mobile, and in fact before the heavyweights in the Battle Royale genre, PUBG and Fortnite, officially made their way to mobile NetEase was there with offerings like Knives Out and Rules of Survival that provided similar experiences built with mobile in mind. Now they have another shooter on the horizon called Disorder that they’ve just unveiled during GDC last week and have opened up a pre-registration page for. Disorder takes place in 2030 at a time when the entire world is at war with each other. A private military company has more or less commoditized war, and the most popular job is becoming a soldier. This has split the population into different warring factions that are constantly fighting one another for money and access to nuclear weaponry. 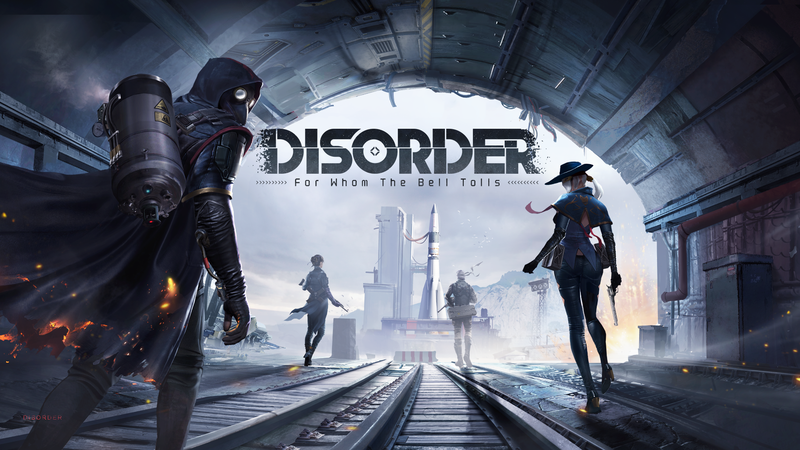 Disorder will tell the story of how members from different warring factions will break the regular order and come together to fight alongside one another. It’s a team shooter with up to five players on a team, and it sounds like NetEase has built up interesting back stories for the various factions and the defecting soldiers. It also sounds like you won’t necessarily HAVE to choose members from different factions for your team, and the reason that these soldiers would even consider teaming up with those from other factions seems like it will be a central plot point. It certainly sounds intriguing so far. Other than that, NetEase is being tight-lipped about the finer details of Disorder. We know that it will be focused on team battles, but they’re also hinting that there will be a more diversified set of gameplay experiences than the typical sort of modes you’d expect from these types of games. They know that sessions on mobile should skew towards a shorter length, but they also didn’t want to create sessions that were TOO short so that you couldn’t fully invest in the experience, so they estimate that matches will take typically 10-20 minutes to complete. I’m sure there will be much more revealed about Disorder in the near future, but for now if this sounds interesting to you you can head over to the game’s official webpage to pre-register for both iOS and Android.